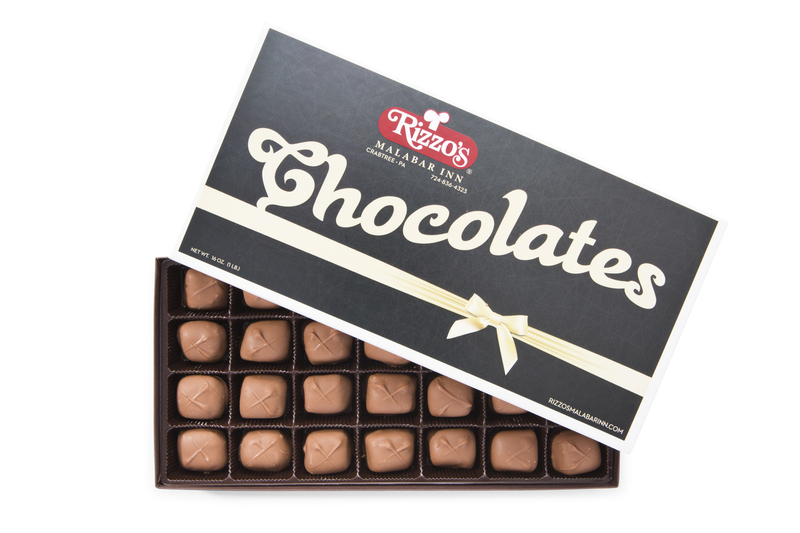 Intense bites of velvety caramel surrounded by Rizzo's Malabar Inn's rich, milk chocolate. Weight: 1 Lb. 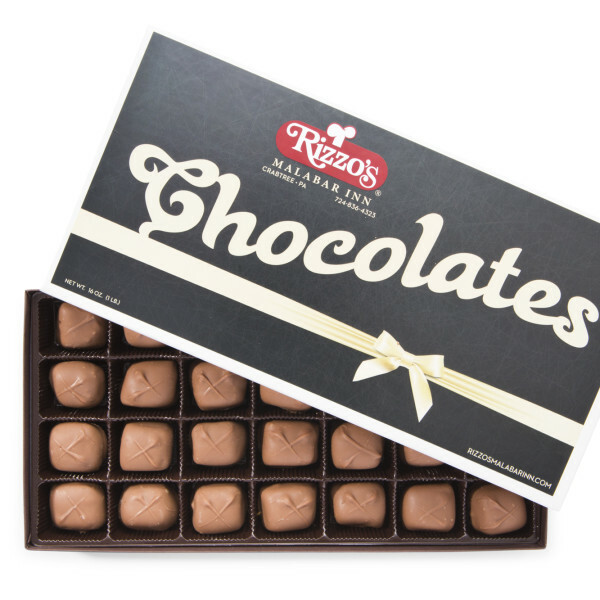 (16 oz). Includes shipping.